Gail McCarthy/Staff photographer/Gloucester Daily Times. 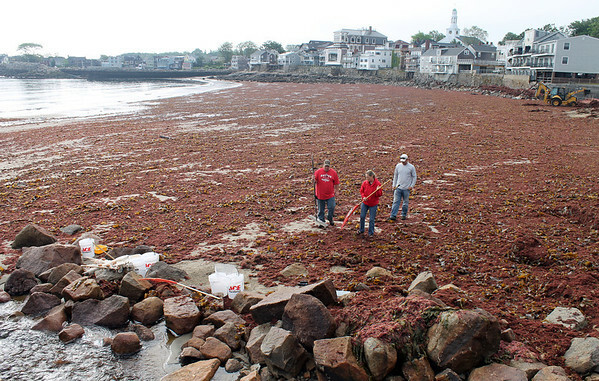 Rockport: A Rockport public works crew went out to Front Beach on June 6 to help clean up the downtown beach that was fully blanketed from one end to the other with red seaweed that prompted many passers-by to stop and take a glimpse. Also Carolyn McWilliams, center, a Rockport Middle School eighth grade science teacher, was helping because she was holding a research workshop for her students there later that morning.